Land bank wants to prevent aerial disturbances of people and wildlife on pristine properties. The Martha’s Vineyard Land Bank Commission voted to ban drones from its nearly 3,100 acres of conservation property on the Island, according to a news release issued just before Christmas. The purpose is to prevent disturbance of people or wildlife on the conservation lands. The ban reflects the same policy that governs all land bank regulations, according to conservation lands foreman Matthew Dix. Mr. Dix said the land bank commission might consider special permission to use a drone on its properties if there is some public benefit. “The land bank would evaluate those on a case by case basis,” he said. 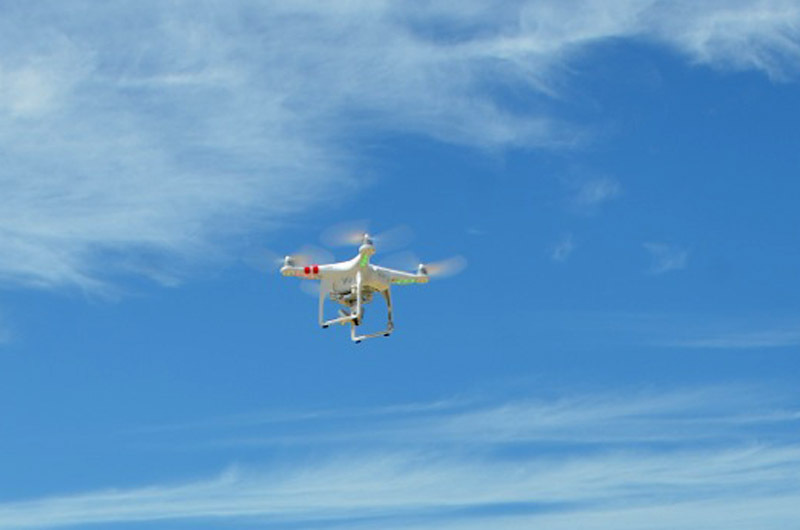 Several other states and some cities are considering laws that would prohibit or limit the use of drone technology. The National Park Service banned drones at all national parks in 2014. Mr. Dix said there was no incident that prompted the land bank commission’s action, but the commissioners wanted to address the issue proactively, in light of the exponential growth in recreational and commercial drone technology. Recreational or hobby users do not need approval from the FAA to fly drones, but effective Dec. 21, the Federal Aviation Administration (FAA) imposed new requirements, including a mandate for individual recreational or hobby users to register drones in an FAA database. There are also laws in place which can result in large fines and prison sentences for unsafe operation of a drone that causes damage or endangers people. Under the current guidelines, drone operators should fly below 400 feet, keep the aircraft in sight, and take care not to interfere with manned aircraft. David Welch, a Vineyard based visual artist who makes his living as a photographer for weddings and other events, said he is a bit leery of the growing regulatory environment. He owns one of the small aircrafts and uses it to photograph Island landmarks and events, with prior permission and within FAA guidelines. He said he fears the land bank policy will set a precedent. It's my understanding that the FAA has the sole authority of regulating air space so i'm not sure why the land bank thinks it can supersede the FAA. As an Island based photographer and visual artist, I think quadcopters with cameras make wonderful tools for creativity and provide unique perspectives. They are a valuable tool. To the MV Land Bank board, I'd be happy to demonstrate a flight if you're interested. You may change your stance. I am confused that a drone would cause environmental harm with vibrations. this is what you get with the limo liberals. They must control everything!!! FAA controls the airspace so get a FAA approved drone. Let the Land Bank fight that!!! There is no doubt that the images taken from drones are beautiful and appealing — and I’m sure flying them is completely fun. However, drones are noisy and invasive; they are the latest gadget to further degrade personal space, privacy, safety and security. I wish photographers promoting the use of this technology would also actively engage in developing a “code of conduct” for using this technology in an appropriate and respectful manner. I don't want Mr. Welch's creativity squelched; and I don't want my time on conservation land to be dominated by a flying lawnmower. Certainly we can find some middle ground. I agree keep the drones out. Make them get special permission like in the National parks. I usually do not want government control on anything but your drones are awful. They fall out of the sky and cause damage as well as hit people. They spy on people, they are noisy and I see nothing wrong with keeping them out. You maybe a safe adult with one but this rule is for everyone. And anyone who has owned a drone has had it crash at some point I am sure you are included. Find another place with your sky toys. They do not 'spy on people' bob. Real life is not an episode of 24 or CSI. For numerous technical reasons, they are the worse platforms for any sort of 'spying'. So please do not bring in erroneous assumptions when attempting to justify legislative actions. "They fall out of the sky and cause damage as well as hit people." So model A/C aircraft have been around for decades and not one person has been seriously injured or killed. On the other hand, Cessna's do fall out of the sky every now and then and do kill people on the ground. Also did you know that over 111,000 children are sent to the hospital every year.....because of playing baseball? Errant golf balls cause over 40,000 case of injury or damage each year.....and yet these two round devices have not been banned. Bob, While there is a proliferation of "Drones" due to the technology being inexpensive at the low end, there are indeed people who fly them recklessly and with no skills or knowledge of the National Air Space. That said, I am the Managing Director of a UAS (Unmanned Aerial Systems) company based on the east and west coasts. I am a FAA certified pilot. My company has received one of the few FAA approvals to fly "Drones" as you call them anywhere in National Air Space provided we adhere to the strict policies and regulations of the FAA. I have aviation insurance, and no, I have never crashed nor do I ever intend to as our internal safety guidelines and maintenance logs prevent the likelihood of that happening. I will be flying over the conservation land and will notify the local authorities when I intend to do so. Your opinions are shared by many. Your information about UAS aircraft is misleading and my company makes a great deal of money flying for film makers, surveying land, real estate, music video's and showcasing the beauty of nature in a safe manner. Yes, there are idiots out there that make MY life difficult in flying, but training and fining reckless people will end the abusers of this technology which is clearly here to stay. I do NOT fly toys and I would not jeopardize my FAA Pilots license by doing inappropriate fly arounds. Yep, this kind of proactive "let's make a ban because bad might happen" mentality is really getting out of hand, and is going to wind up having many unintended consequences. This is a wise move to protect the peace and tranquility of this area. The FAA can't tell us what to do with our land and I don't think they can control the airspace either, at least not in these areas. You can't land a jet liner or a helicopter on these lands, why do you think you can fly a drone, disturbing wildlife and the tranquility of these areas. You can't walk a dog in certain of our lands, why should you be able to fly your noisy contraption? They said they'll grant permission in specific instances, this is preferable to a free for all of loud and dangerous devices. Gerry, the FAA regulates airspace over all property. The FAA regulates airspace but state and local governments retain the authority to limit aeronautical activities that impact land use, zoning, privacy, and trespassing. Actually no Juleann, local government do not have that authority. Airspace legislation is the EXCLUSIVE jurisdiction of the federal government. Dr. Yukevich I understand your concern. You may change your stance after seeing one fly. You're welcome to join me sometime. I'd be happy to show you some positive sides of flying UAVs. Unenforceable , why not spend time on more practical issues like housing? OB needs bodies to fill out their group. Drone over my property is toast. "make wonderful tools for creativity and provide unique perspectives. "/ "the FAA has the sole authority" 100% agreed on point #1. on point #2: a cursory google search shows that the FAA is definitely not the "sole authority" in the use of airspace. In 2015, 45 states have considered 168 bills related to drones. the national park system has already banned drones -as noted in the article- with fines that can top $1000+banning from park property. many state, county, city, and commercial entities have enacted laws without their being contested. (successfully) these laws address safety, noise, privacy and property rights. of special note the FAA rules for hobbyists state specifically: "Don't fly within '5 miles' of an airport unless you contact the airport and control tower before flying". that creates an almost island wide "drone free zone", excepting eastern edgartown and up island west of chilmark. FAA rules also state: "You may not fly your UAS for commercial purpose without the 'express permission' from the FAA". drone use is restricted solely to recreational/hobby use. (faa.gov) that being said, the creating of restrictions by entities other than the FAA has wide legally accepted precedent that is ongoing, placing the MVLBC within its rights. drones have fallen victim to their own success, with upwards of 1,000,000 sold in 2015 to every yutz with the $$ you bet there will be restrictions. Michael, 1) Please read https://www.faa.gov/uas/regulations_policies/media/UAS_Fact_Sheet_Final.pdf 2) You may fly within 5 miles of the airport with prior notification to the MVY tower. 3) Commercial exemptions are being issued. 4) If the MVLBC has any regulatory authority it may be limited to launching a drone from within their property. I doubt they have authority to regulate flyovers. It is the same as regulated Jetblue to not fly over property. I doubt the Land Bank's authority will be limited to launching. The language defining drone use on Park Service land states: "Launching, landing, or operating unmanned aircraft is prohibited on lands and waters administered by the National Park Service". There are similar restrictions over Marine Protection Areas and other conservation lands through the U.S. It is my understanding that JetBlue is not an unmanned aircraft, which distinguishes it from a drone and establishes its right to flyover sensitive areas. 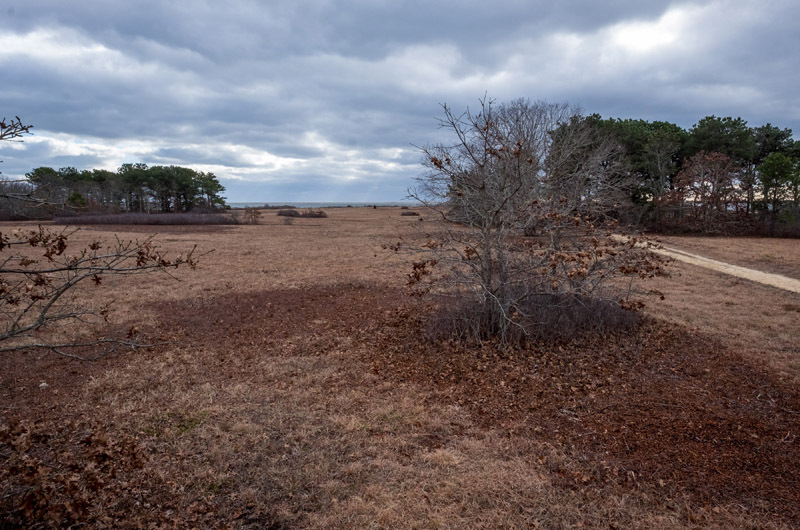 "Juleann VanBelle, West Tisbury I doubt the Land Bank's authority will be limited to launching. The language defining drone use on Park Service land states: "Launching, landing, or operating unmanned aircraft is prohibited on lands and waters administered by the National Park Service". Your own quote should make it clear. The NPS may only regulate what happens ON its property. The NPS has specifically acknowledged that it has no authority to control what happens off its property. The closures do not apply to the flight of unmanned aircraft in the airspace above a park if the device is launched, landed, and operated from or on lands and waters that are not administered by the NPS." http://www.nps.gov/policy/PolMemos/PM_14-05.htm It is my understanding that JetBlue is not an unmanned aircraft, which distinguishes it from a drone and establishes its right to flyover sensitive areas." The manned vs unmanned makes no difference at all in the regulations. "with prior notification to the MVY tower." 1- yes, that is exactly what my quote from FAA.gov stated. but how many pilots do you think are following that? 2- yes commercial exemptions (FAA 333 exemption) are being given on a "case by case basis". i haven't spoken to a single drone pilot on island working commercially who has an FAA exemption. 3- "may be limited..." maybe not. according to the site "knowbeforeyoufly.org" flyover laws are within the purview of local jurisdictions and should be checked before doing overflights. but these flyover laws are being debated in many locales at many levels and are as yet unsettled. The nosey neighbor who flies a drone over another's property, may be 'legal' in doing so. However if that neighbor is legally hunting on his/her property, that expensive drone might just get mistaken for a duck. I am not advocating this by any means, but it remains to be seen if intrusive paparazzi or fueding neighbors (of which their are PLENTY)create new headaches for law enforcement. Specifically, when does this become trespass, harassment, or intrusion of privacy if a drone is hovering over someone's property? (despite being in compliance with FAA rules? Where does the property owner's rights end? 50 feet high? 100 feet? In the US it is illegal to fly a drone over any people who are not actively involved in the drone’s flight; and, a UAS (drone) may not be used for voyeurism. These specific illegal actions will automatically restrict drone activity in public areas much of the time. In addition, drones are prohibited from interfering with hunting at any time. Your veiled attempt at a threat of :expensive drone mistaken for a duck" would find yourself possibly charged with a felony under 18 USC 32 if you carried it out. Airspace is already pretty well documented, and Causby vs US already covered this. Here is something you don't realize, your life is not that interesting and no one cares about you, so no 'drone' is going to be hovering over your property. "The purpose is to prevent disturbance of people or wildlife on the conservation lands." Can I assume then that the Land Bank doesn't allow hunting on their properties then? In regards to the photo caption, there are no "pristine" properties on this island and haven't been any since European settlers arrived. Even the Wampanoag modified the land. The MVLB modifies their properties through trails, burning and mowing to name a few activities. All of which I agree with. These properties are beautiful and worthy of preservation, but they are absolutely not in pristine condition. Thank you, Nelson. Accuracy is a beautiful thing. The red bi-plane is more of a nuisance than drones. A quick read of the Land Bank Law makes me wonder if they have the legal authority to make such a rule. They do...they can control launch and recovery of aircraft, but they cannot actually control flight over the properties. So an aerial photographer can launch and recover from a public roadway, or adjacent private property with permission, and conduct a fly over. Drones are model aircraft. They can be gas or electric powered. They are noisy and will, on pupose or not, disturb wildlife all for what purpose? The Land Bank properties exist to allow critical properties to be lightly used by all of us and to see natural habitats that could be McMansions. Net, lets keep the Land Properties special. No Drone Zone...NDZ. Thank God. Good decision, Land Bank. Good to see you guys tackling such important issues out there on the Vineyard! According to a 1946 supreme court ruling a land owner can only own up to 83' above their property. So launch outside the park and fly all you want. Then land the drone outside the park, all legal.